WHO OR WHAT IS A CONTENT WRITER? This particular title can be a bit ambiguous. In my experience, it was quite difficult explaining to people what exactly it is I do as a content writer. So, how exactly do the words content and writer go together, and what do they mean in this tandem? However, there are also other types of content which are in a lower demand than the aforementioned ones. These include press releases, whitepapers, various types of eBooks and even social media posts. In first world countries, content writing isn’t exactly a lucrative career branch. The pay is mostly average, if not less than average. On the other hand, the situation is quite the opposite with second and third world countries. With their lower living costs, anyone who knows how to write and possesses near-native English proficiency can really make a killing. Granted, you can also write content in any pretty much any language, but English being the common language of the world, the demand for content written in English is naturally in highest demand. Even if you don’t possess near-native English proficiency, you can still work as a content writer, even though your income would be much lower. Still, this needn’t discourage you, as years working in this industry may see an overall improvement in your command over the language, thus allowing you to eventually advance, write better and earn more. Keywords – specific words or phrases related to the subject of the text that people most commonly search for. These must be included organically in the text and never overused. Failing to do so might simply get the page flagged as spam by a search engine. Formatting – search engines love short paragraphs, lists and text which is bolded or in italics. Including these in your text can help it rank higher, but it again – it shouldn’t be overused. Microsoft Word or any such similar program – obviously, these are what you would use to write the actual content. Knowing how to properly format and edit text with these programs is a must. The Internet – what is meant by “using the Internet” here is that you must know how to conduct proper research online. This includes your ability to figure out what to search for as well as where to find reliable information. For example, if you’re writing an article on the latest line of CPUs, you would get your info from a reliable source such as Tom’s Hardware and not from some random forum that comes up on Google search. Deadlines are strict and must be met, and content must conform to the client’s wishes. These are the two often overlooked aspects of a content writing position. What this means is that you must be able to work quickly without jeopardizing the quality of the content, and you must be able to write it exactly how the client envisioned it, the closer the better. Sometimes even the general format of certain types of content can be quite restricting, so content writing seldom offers much space for innovation or creativity. You’d be surprised how many tricks are to writing properly that people overlook. Some of the following points have been mentioned already, and some of the following tips apply both to content writing and writing in general. First and foremost, you must keep the audience in mind. Most commonly, online content is written to be read by an international audience. That said, the average internet user may not have overly advanced English, nor an especially long attention span. Therefore, you should obviously avoid advanced vocabulary, complicated constructions and long paragraphs. If the average reader is unable to understand the text without running to a dictionary every few seconds, or if he needs to go back and re-read convoluted sentences several times over, he would likely just give up on the text altogether. What’s more, if he opens the page only to be greeted by a giant and unsightly block of text, he might not even try to read it. Keep your sentences short and your vocabulary simple. However, don’t overdo it! If all your sentences are short, it can make the text very tedious to read, and if you keep repeating the same basic words, you could easily come off as a someone whose English is quite poor. Have short, focused paragraphs. It would be best to keep your paragraphs in between 4 and 10 lines. Anything more can be discouraging to read and anything less might make the piece seem lacking in content. Formal vs informal – When writing formally, you’d rarely refer to the reader directly, and would adopt an overall approach you’d usually see in a professional newspaper article. Informative vs creative – When trying to be informative, the focus of the text is presenting all information relevant to the topic as clearly and concisely as possible. As for the creative approach, the reading itself is supposed to be an enjoyable experience through the use of humor and, as the namesake suggests, creativity. Perhaps the most important question a young up-and-coming writer would like answered is how exactly he or she can make money writing. Well, the options come down to freelancing platforms, in-house writing agencies and occasionally, sites that accept submissions. Let’s explain each one more thoroughly, shall we? A freelancing platform is often the best place to start. These sites allow clients to hire writers through them. The company itself acts simply as a mediator between the two parties and strives to ensure safe transactions between them, making sure the clients aren’t scammed and that the writers aren’t exploited. In return, it either takes a cut of the profit or requires a subscription to be paid regularly. Some platforms allow anyone to work through them, while others which have stricter quality control may require you to pass a series of tests before being eligible to apply for jobs. Regardless, writers are either paid an hourly rate or on a per-word basis, depending on the platform and type of job. In-house writing agencies are companies which focus on content creation and that search for, vet and hire writers the old fashioned way. When working for one of these companies, you are paid a fixed salary with potential bonuses based on performance. This provides a much steadier source of income, and you have nothing to worry about apart writing. However, these companies (or at least the reliable ones) are difficult to find and even more difficult to get employed at. Their teams usually consist of a small number of writers who are exceptionally good at what they do. As such, the positions aren’t many and when some do open, the competition will be fierce. And lastly, open submissions are quite fickle and it’s impossible to make a stable source of income out of them. The only sites that pay well are the popular ones, but your chance of getting published there even once is difficult, let alone managing to get published regularly. Then there are the less popular sites which are easier to get published at, but that pay much lower, if at all. Therefore, trying to get published at one of these sites is only good if you want to make a quick buck on the side or just want something to add to your resume. 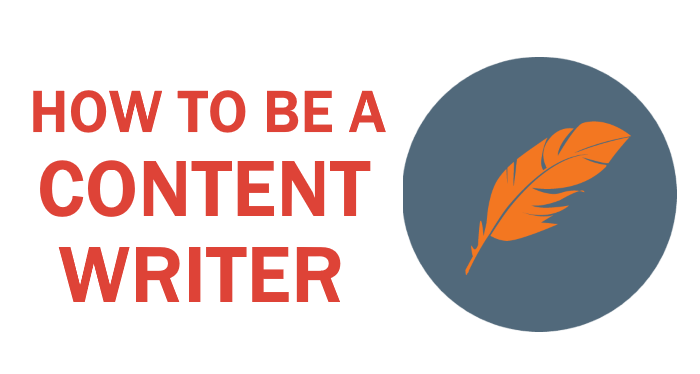 Now that we’ve covered all the important bits, here’s some advice as to how to start your career as a content writer. There are several platforms which allow anyone to write and where there is no direct interaction with the client apart from consultations about the instructions or revisions. That way, you don’t have to worry about actually landing the gig, as the platform will do that for you. Your best bet would be iWriter or HireWriters. Once you have enough work experience under your belt, you can create an account with one of the bigger platforms such as Upwork, Fiverr or Freelancer. It’s important to have something to show for these sites, since you will be interacting with clients directly, and people are unlikely to hire you if you have little or no experience. This is a fairly straightforward step. Once you get here, freelance content writing should provide a stable source of income. If ever you have trouble filling your quota through a single platform (which is likely to be the case), you can always work through multiple platforms of your choice. Many writers are satisfied working as freelancers, but working full-time is always a lucrative prospect. After all, not only are you paid a fixed salary with potential bonuses, but you also get paid for your time, not just the number of words you put out. If you wish to do this, there are two ways to go about it. The first and most obvious one is regularly scouring online job postings. Alternatively, you can send companies a job inquiry via email, accompanied by your resume and a sample of your work. If you are considering becoming a content writer, you can also check out a list of Best Content Writing jobs that you can do from home, before you go.